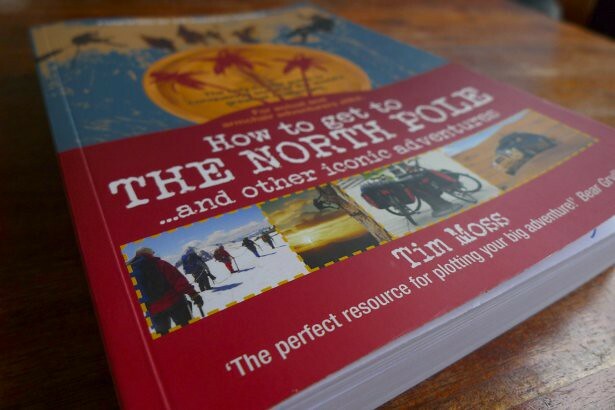 My book is called How to Get to the North Pole: and Other Iconic Adventures. 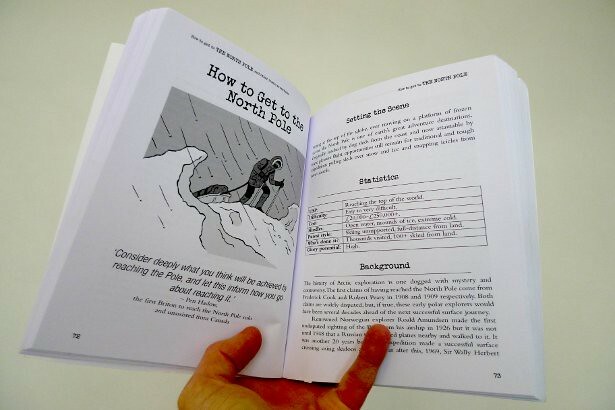 It has seven chapters, each about a different iconic adventure, and each opening with a wonderful illustration by the talented Mr Jim Shannon and a few statistics such as the difficulty, cost and glory potential. 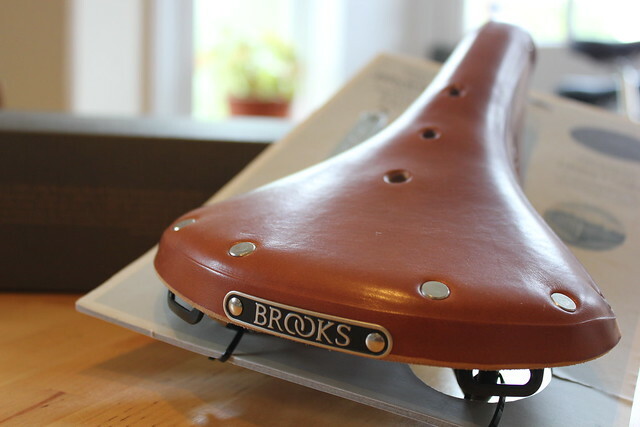 The text is broken up with stories and anecdotes from the history of exploration. 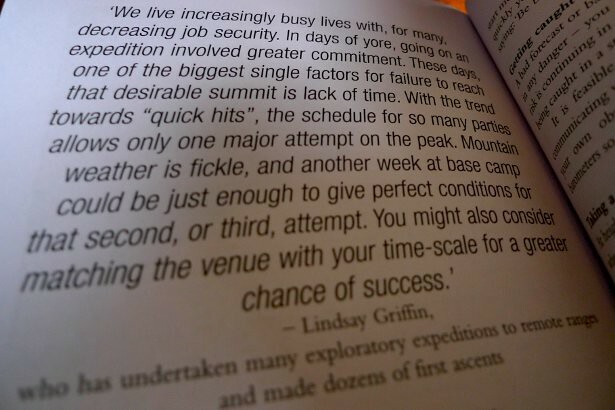 Whilst writing the book, I wrote to over 50 different famous explorers to ask them for one ‘top tip’ in their area of expertise. 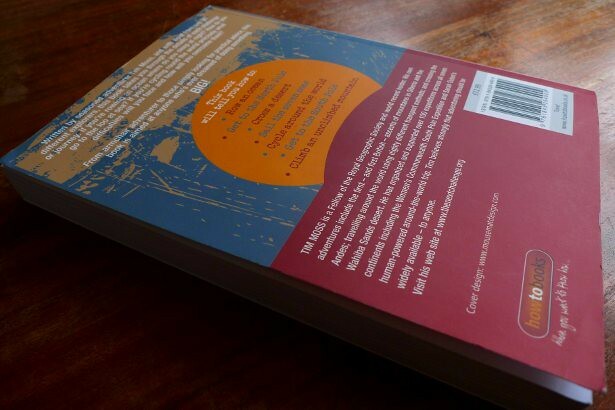 Their advice is scattered throughout each chapter. 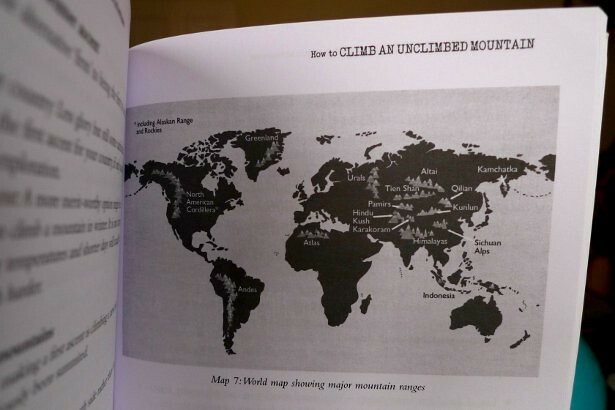 Five of the chapters have world maps designed by Rebecca Peacock of Firecatcher which highlight particular areas relevant to the challenge. This one shows major mountain ranges of the world. 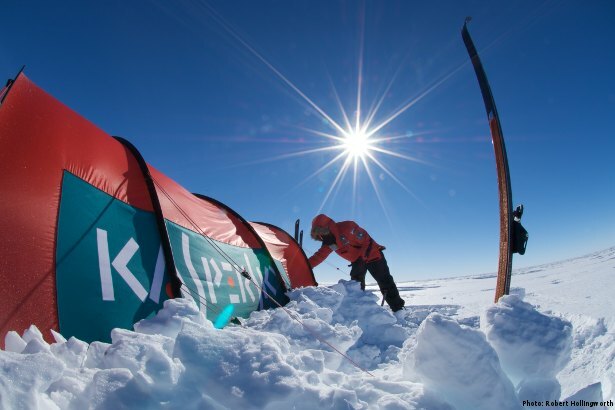 The two polar chapters, however, feature something rather special. 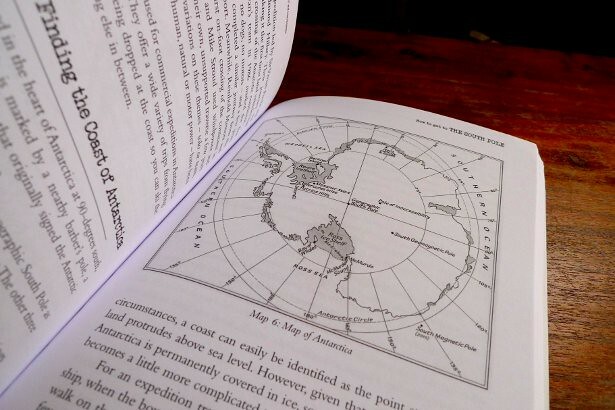 They each have a unique map, hand drawn for especially for the book by Ted Hatch, the legendary draftsmen at the Royal Geographical Society. 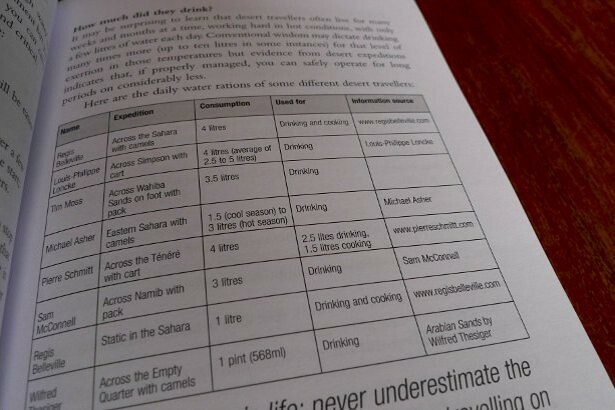 There are also lots of tables packed with information like this one showing the daily water rations of different desert explorers from Wilfred Thesiger to Michael Asher. Rebecca Peacock also provides each chapter with a diagram to illustrate a point better than words. 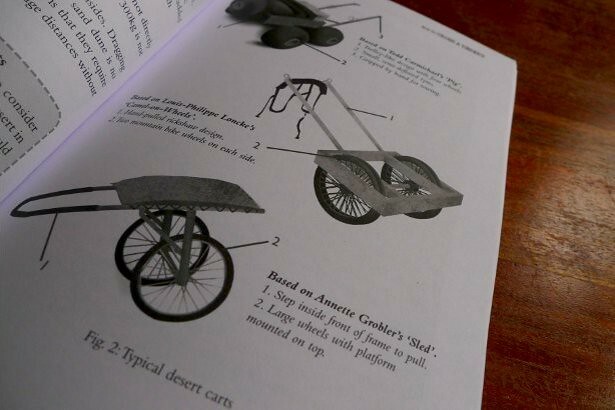 These diagrams are of three types of carts used to drag equipment across deserts. 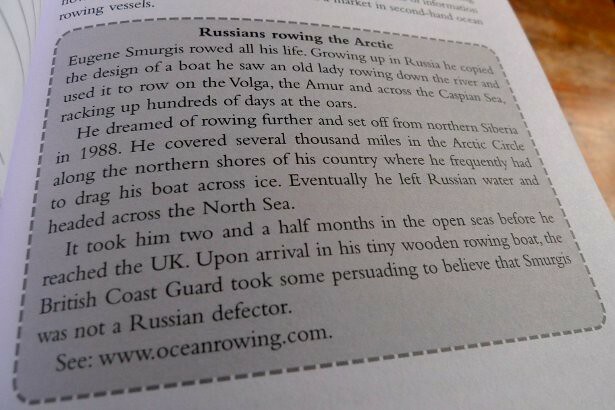 The book will tell you How To Cross a Desert, Get to the North Pole, Row an Ocean, Sail the Seven Seas, Cycle Around the World, Get to the South Pole and Climb an Unclimbed Mountain. There is also a foreword by Sir Ranulph Fiennes and an introductory chapter about expeditions in general, equipment and fundraising. 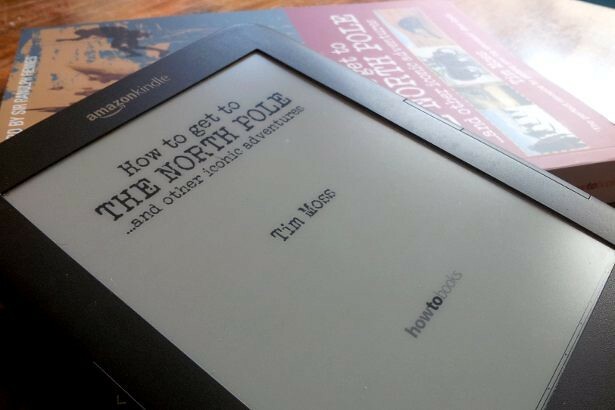 How to Get to the North Pole: and Other Iconic Adventures is available on Kindle, signed by me in the UK and sent anywhere else in the world from Amazon.